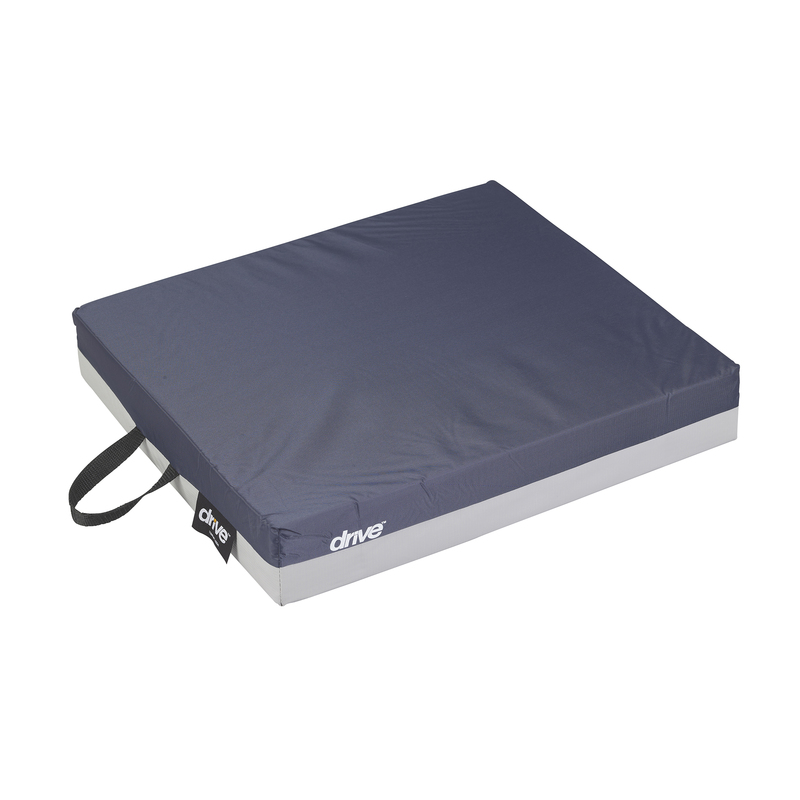 The Gel "E" 3" Wheelchair Cushion with Gel Bladder by Drive Medical is a pressure reducing cushion designed to assist in the prevention treatment and management of pressure ulcers. The viscous gel bladder provides optimized pressure reduction support and comfort. The polyurethane foam shell is fire retardant and the removable and replaceable cover has a water resistant top and non slip vinyl base ensuring users safety.